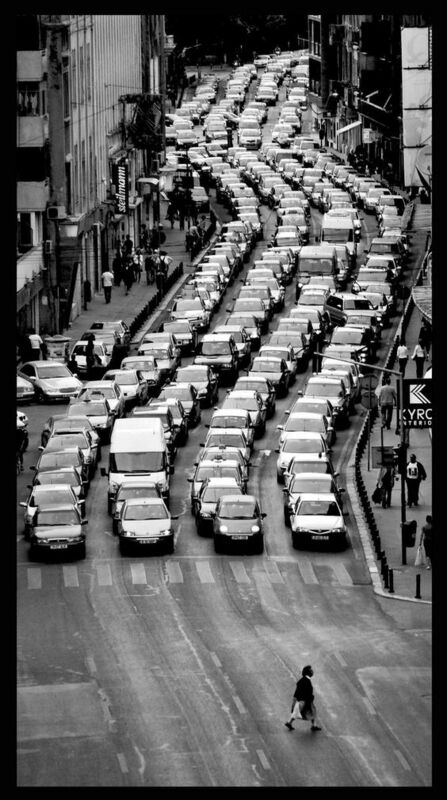 This image by Filip Bogdan titled Going Nowhere - Bucharest, 2007 is such an eye opener. The traffic police in Bangalore try in vain to bring some semblance of order on the roads. Will we ever be this organised in our chaotic cities in India. I wish someday we did inculcate order in us. We must remember that change cannot be sought about from the government or the police. We can rely on them only for policy, law and order. However, it is each one of us who have to be responsible citizens and role models for the others to follow suit. Unless we make the change in ourselves we cannot expect miracles in our surroundings.